A great way to buy genetic hackle when you don't want to buy an entire cape. Ideally suited to dressing dry flies, these capes have a big size range and will dress flies from 2-22. 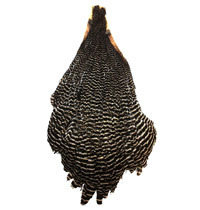 An economical way to buy genetic hackle for dry flies. 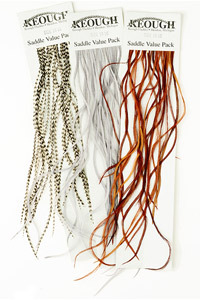 These packs contain enough feathers to tie over 120 flies. The feathers in these packs will mostly tie size 14-16 flies. 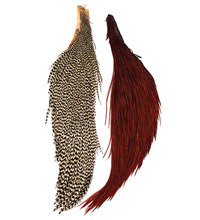 Premium grade #1 hen capes, perfect for all patterns that need a softer hackle. Ideally suited to dressing mobile nymph patterns and wet flies.